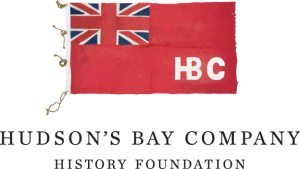 The Canadian Business History Association - l'association canadienne pour l'histoire des affaires (CBHA/ACHA) is pleased to welcome Hudson's Bay Company History Foundation as a Charter Corporate Member. Hudson’s Bay Company was incorporated on May 2, 1670, and was known as The Company of Adventurers of England. The HBC History Foundation is dedicated to telling the rich and amazing stories of Canada’s past.